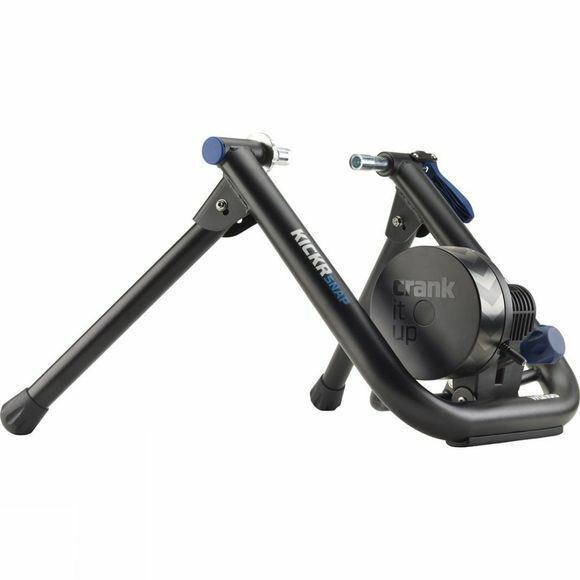 The Wahoo KICKR SNAP combines the control, accuracy and connectivity of the legendary KICKR POWER trainer with the convenience of a wheel on design. 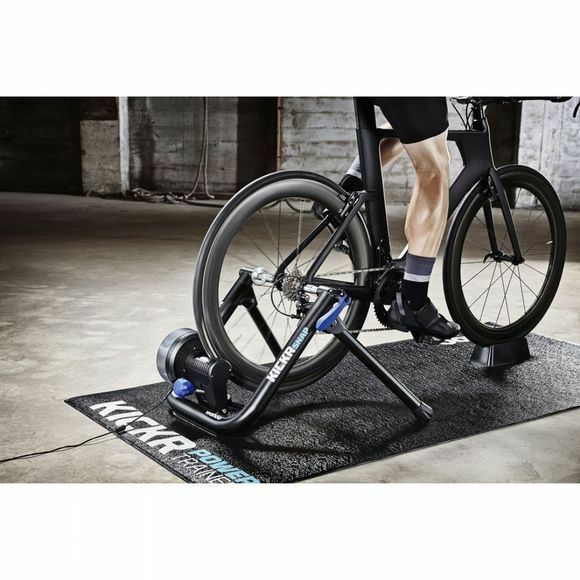 Now with improved power accuracy (+/- 3%) and able to offer you the most realistic ride experience of any wheel-on bike trainer, the KICKR SNAP’s flywheel features technology that creates the same resistance experience that you get in outdoor climbs and descents. It has more software training options than ever before, including Zwift, TrainerRoad, Kinomap, Virtual Training and BKOOL. It's also compatible with KICKR CLIMB and a large range of devices from Apple to Android so you can use all of the technology you already own. The Wahoo KICKR SNAP is designed with a wide stance to keep its feet firmly on the ground and with your bike securely locked in, allowing you to train with absolute confidence and push your limits. The 2017 model also features LED lights to indication connection and data transmission.